The Explore Scientific Ultra Light 10" Dobsonian is ideal for those who want a telescope with good light gathering power and great optics in a compact easy-to-store package. This telescope's low focal ratio Newtonian optics provide excellent widefield views of Deep Sky objects and is also a creditable performer when it comes to Lunar and Planetary work too. If you've been lured by the idea of a big dobsonian, but balked at the weight and storage of a lagre instrument, the Explore Scientific Ultra Light 10" Dobsonian is well worth your consideration. 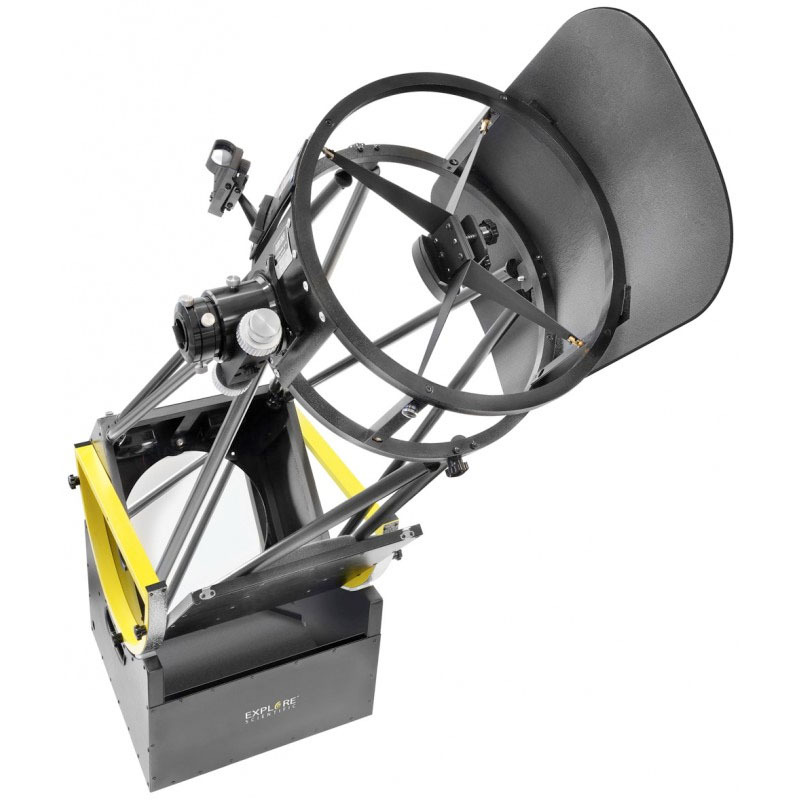 This telescope also features an innovative collimation system for both Primary and Secondary Mirrors and an excellent 2" Crayford-type/low profile Rack and Pinion Hybrid focuser, with 10:1 dual speed focusing wheels.